After closing out my cyclocross season at Waves For Water’s UCI event in Tacoma, I’ve had a chance to evaluate my equipment choices from this season. This time around I brought in a second bike, a Davidson D-Plus, that I fitted as a singlespeed (you can read about the design in Issue 19 of our downloadable magazine). All the little details on the bike were spot-on, allowing the components to function at their best, though there were only two significant deviations from my usual parts selection: brakes and tyres. For the moment I still remain faithful to cantilever brakes, but rather than Avid Shorty Ultimates I chose TRP’s RevoX Carbon (to be reviewed in a separate post). The other change from my usual CX equipment was tubeless tyres. With an embarrassingly large personal stable of bikes and kit, I was eager to avoid cluttering my life and draining my finances with yet another single purpose tubular wheelset. Like a tubular, a tubeless clincher tyre promised to allow low pressure in the CX races without pinch-flatting, yet without the laborious gluing ritual I could change out the treads each week if I so desired. And at the end of the season, the tubeless wheels could be reshod with commuter or gravel tyres, or maybe I leave the tubeless CX tyres on the wheels so I can go play around in the muddy woods this winter, free from the fear of damaging expensive tubular tyres on a casual outing. In contrast, my tubular CX hoops get cleaned and stored in wheelbags where they do nothing but take up space in my closet until next September. But promises are one thing, reality another. The issue isn’t finding rims that will work in a tubeless setup anymore. A few years ago CX tubeless-ready tyres were built for the rims/wheels engineered to match with road tubeless systems, similar to mtb’s UST standard. This largely limited you to wheel-systems like Shimano. 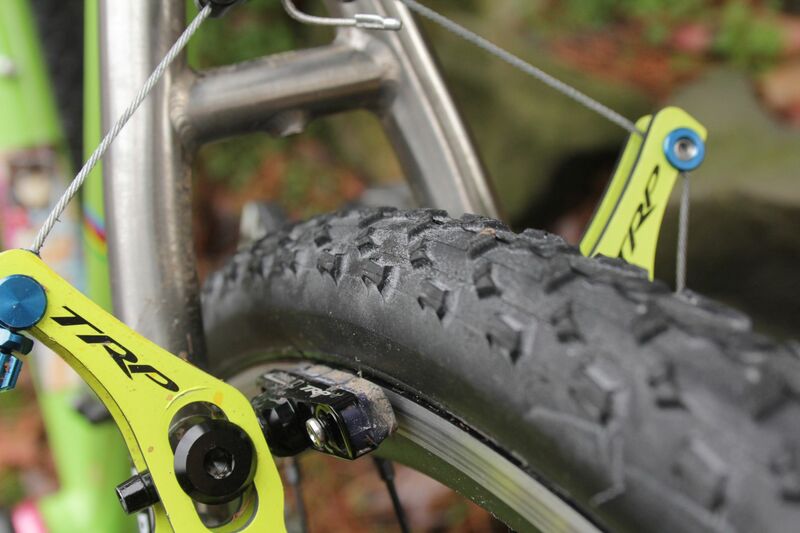 Or you could use Stan’s NoTubes conversion kits on a regular rim, but often that meant a lot of effort and uncertainty to get just the right setup for the rim/tyre combination and avoid burping the tyre at low pressure. Now however there are numerous 700C rims being manufactured for either CX or 29er that mimic the easy-mounting NoTubes rim shape. These rims are often wider than typical “road tubeless” rims, giving a better shape and more support to a CX tyre’s larger casing volume . And thankfully for cantilever holdouts like myself, rims like the Hed Belgium Plus and Velocity A23 allow one to introduce tubeless technology into our race gear without requiring disc brakes and a new frameset and components to match. But all these developments have been slow to become broadly established in the market. The selection of tubeless-ready tyres has yet to catch up, and perhaps the resourcefulness of cyclocross racers and mechanics is actually hurting the cause. Unlike road tubeless systems, which require much more precision in design and manufacturing due to the far greater air pressure used, CX tubeless use has largely evolved out of individuals experimenting with their own equipment. Like MTB, cyclocrossers were converting existing equipment to tubeless by any means necessary in the beginning. Step 1: buy a NoTubes kit with tape. Step 2: mount some clincher tyre with sealant and see if holds air. Step 3: unmount and add more tape, repeat Step 2. Why would tyre companies use their resources to develop competent tubeless CX when the racers seem willing to tolerate all manner of kludges? The big brands continue to sell their standard clincher tyres; if you want to run them tubeless, that’s not their problem. The packaging clearly states that using sealant voids the tyre’s warrantee. To be fair, I don’t really think that the industry is nefariously holding back properly engineered product, but they certainly go where the money is. A number of companies have finally started offering tubeless-ready cyclocross tyres, but only in a decidedly medium conditions variety, and by “medium conditions” I mean “for frequent use on pavement or gravel”. The whole gravel grinder trend blew up just this past season, yet several tyre manufacturers are diving into 40mm plus tubeless ready gravel tyres. Where are the dedicated mud tyres? 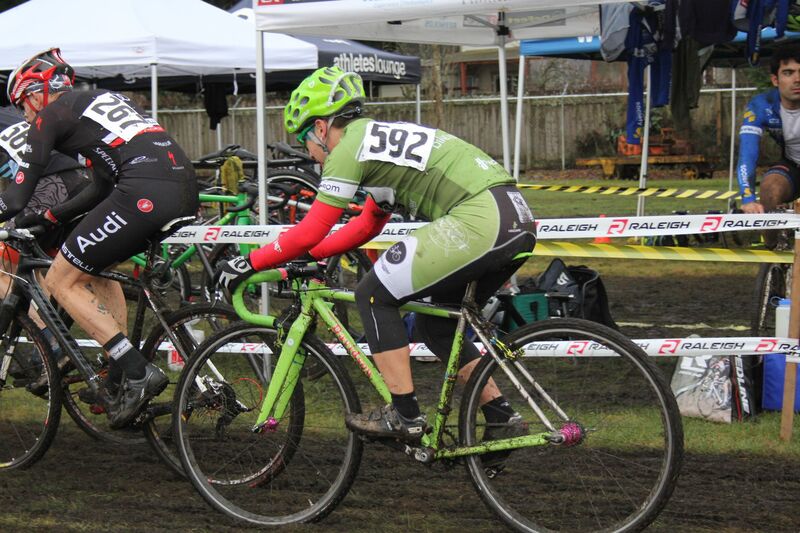 Maybe you don’t need them for racing in California, but mud is the default for CX racing in New England and the PacNW. The big companies bank on OEM sales and hot new trends like the gravel grinder category when they develop clincher tyres. Besides, everyone knows that the real racers inevitably choose tubulars when they get serious, right? The smaller companies, like Challenge and Dugast, that specialize in tubular cyclocross tyres make an effort to offer treads optimized for specific conditions, even different types of mud. With the cost of quality race wheels and tubulars multiplied by the number of potential race conditions, it doesn’t take a genius to figure out that trying to always have the right setup for the races quickly spirals into a money-sucking vortex. What racers need are tubeless-ready tyres that don’t burp even at pressures below 25PSI, that mount easily without relying on luck and a heroic air-compressor, and come in a variety of tread types for actual cyclocross racing. It almost happened this year. Maxxis introduced their Mud Wrestler in 60tpi and 120tpi tubeless-ready versions, but not that many distributors were actually carrying them before the end of the season. Kenda, who make a very nice dry conditions/gravel tyre in the Happy Medium, showed a more mud-oriented version of their Kommando, called the Kommando X Pro, at Interbike 2013, but none of the distributors even have a sku# for them yet. However Hutchinson, an early proponent of tubeless CX, are on their third generation of tyres, and their Toro CX has been available for a season or so. On the other hand, Michelin was a partner in developing the UST tubeless standard for mountain bikes, but they have made no effort in recent years to develop their cyclocross lineup in anyway, let alone introduce tubeless-ready versions. Specialty tyre maker Clement has expressed a desire to offer tubeless CX ever since the brand re-entered the market a few years ago, but that has yet to lead to anything. I know people who would kill to have their PDX tread in a fully tubeless-ready casing. Next year I think that tubeless CX options will finally catch up, and in the very least I have found a tubeless setup that meets my requirements. More next time.